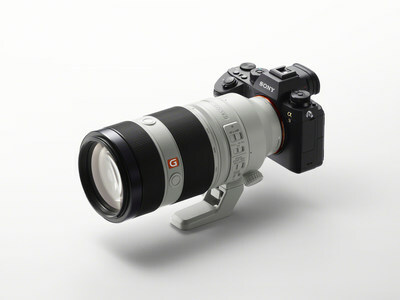 NEW YORK, April 19, 2017 — (PRNewswire) — Sony Electronics, a worldwide leader in digital imaging and the world's largest image sensor manufacturer, has today introduced their furthest reaching E-mount lens, the FE 100-400mm F4.5–5.6 GM OSS Super Telephoto Zoom (model SEL100400GM). The new full-frame lens maintains the high standard of resolution that is shared among all of Sony's flagship line of G Master™ series, while also offering incredibly fast, precise AF capabilities, a lightweight, portable design and a variety of professional functions and customizability. It's an exceptionally powerful photographic tool for a variety of enthusiast and professional shooters, in particular those that are commonly shooting sports or wildlife. A super telephoto zoom that meets the intense build requirements of Sony's acclaimed G Master series lens lineup, the new FE 100-400mm GM model produces outstanding corner-to-corner sharpness throughout the lens' zoom and focus ranges and beautiful rendered 'bokeh' or background defocus, ensuring the finest details are brought out in every subject and scene. The complex design features 22 lens elements configured in 16 different groups, including one Super ED (Extra-low Dispersion) and two ED glass elements, all of which are working together to minimize chromatic aberration and ensure the ultimate resolution is captured. The lens also has Sony's original Nano AR coating, which is particularly useful for shooting sports scenes or wildlife, as it reduces unwanted reflections. 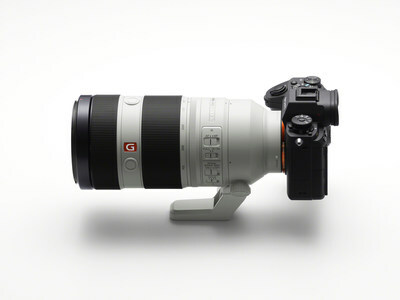 In order to satisfy the extensive demands of customers craving lighter, smaller and more portable super telephoto lenses, the new FE 100-400mm GM weighs in at a mere 49.3 ounces (1,395 grams), making it among the lightest in its class and an ideal fit for Sony's wide range of compactly designed cameras. The FE 100-400mm GM is compatible with both the 1.4x (model SEL14TC) and 2.0x (model SEL20TC) teleconverters, allowing photographers and videographers to shoot at up to 800mm on full-frame cameras and approx. 1200mm (35mm full-frame equivalent) on APS-C cameras. 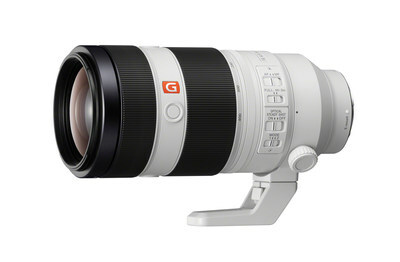 The new FE 100-400mm GM Super Telephoto Zoom Lens ship this July for about $2,500 US and $3,399 CA. A variety of exclusive stories and exciting new content shot with the new lenses and other Sony α products can be found at www.alphauniverse.com , Sony's community site built to educate, inspire and showcase all fans and customers of the Sony α brand. Matt Parnell, Sony Electronics Inc.